There's no shortage of poker in the U.S. outside Las Vegas. Try these eight great destinations. Poker author (and traveler) Ashley Adams lists eight great U.S. poker places other than Las Vegas. The focus of much of the poker world for most of the summer was on Las Vegas and the World Series of Poker, and for good reason. During the WSOP, Las Vegas is where nearly every serious poker player wants to be. But there are many other places in the United States that make great poker destinations, especially now that the WSOP is over. Here is my personal list of the eight greatest U.S. destinations for a poker-playing vacation. Legal poker has existed in California since the 1930s, allowing California to become the state with the most poker tables in the U.S.
Southern California features the largest poker palaces in the world, including the immense 200-plus table Commerce Casino, the 110-table Gardens Casino (formerly the Hawaiian Gardens, the 90-table Hollywood Park, the 80-table Bicycle Club, and the 50-table Hustler. This adds up to unsurpassed poker action, including huge tournaments and nosebleed-stakes cash games. Truly, Southern California is the poker capital of the world. There's also a whole lot to do other than play poker in Southern California, as it is home to beautiful beaches, Hollywood, and the incredible cities of Los Angeles and San Diego, as well as the beautiful resort town of Palm Springs. Back before so many states legalized poker, Atlantic City, New Jersey had the only legal poker on the East Coast south of Connecticut. The action there was fierce, with 10 poker rooms lined up in a row right there in that great beach town. Such is no longer the case. Not only has poker legally expanded to Delaware, West Virginia, Maryland, and Pennsylvania, but in the process, poker in Atlantic City has diminished. Even so, despite the fact that there are only five poker rooms left in Atlantic City — and only the Borgata, with 85 tables, is considered a major poker room — there are now nine other poker rooms within a 90-minute drive of downtown Philadelphia. Among them are the Sugar House located in the heart of Philadelphia with 28 tables, and just outside the city limits Parx (61 tables) and Harrahs (31 tables). There are three more Pennsylvania rooms to the west and north of Philadelphia, and another three poker rooms to the south in Delaware. That adds up to 207 tables at 14 different poker rooms within an hour-and-a-half of downtown Philadelphia. Couple this large variety of excellent poker rooms with the history, culture, and rich urban life of this major city, then mix in the still-beautiful beaches of the Jersey and Delaware shores, and you get one of the premier poker destinations in the United States. The towns of Ledyard and Uncasville, Connecticut are home to two huge resort casinos and among the finest and largest poker rooms in the world — Foxwoods and Mohegan Sun. As the second-largest poker room in the world, Foxwoods on its own is a worthwhile poker destination. It's also one of only two casinos in the world with regular seven-card stud games at all stakes. Together with its younger sibling the Mohegan Sun, the area boasts nearly 150 cash game tables and some of the largest poker tournaments outside of Las Vegas, including regular stops of the major poker tours. Boston is less than two hours away, and there's a beautiful sea coast 20 minutes south in Mystic, Connecticut. Providence's T.F. Green Airport is the nearest major airport, about 40 minutes from Foxwoods, and frequent shuttle buses run to both casinos from both New York City's and Boston's Chinatowns. Both casinos also offer regular Vegas-style top shelf entertainment and many top flight restaurants. They also are regularly overflowing with a sea of gambling tourists who arrive in steady streams from New York and New England. What's not to like? Miami, Ft. Lauderdale, Hollywood, Palm Beach, and the surrounding area are home to 12 poker rooms, among them Seminole Hard Rock Hollywood, Hialeah Park, and the Palm Beach Kennel Club (just to name three). At last count those 12 rooms collectively boast 376 tables, making it the largest concentration of poker action outside of California and Nevada. The area is also home to dozens of daily tournaments and frequent stops on the national poker tours, ensuring cash and tournament action for every bankroll. Add in the scenic beauty of the Atlantic Coast, major league sports teams, and the great music and night life of Miami — plus all of the other gambling options at the horse racing, dog racing, and jai alai frontons that house many of these poker rooms (meaning lots of gamblers to enrich good poker games — and you have an overwhelmingly appealing destination for a poker trip. Over on the West Coast of Florida there are six poker rooms with 208 tables, including rooms in Ft. Myers, Naples, Tampa, Sarasota, and St. Petersburg. These include the large Derby Lane and Hard Rock Tampa rooms. Read all of the superlatives in the section about Southeast Florida, scale back the action 20-30 percent or so, add a measure of calmness, and a few wonderful mid-sized cities, and you have this incredible poker scene. There are cash games going at multiple venues around the clock and at least a couple of tournaments every day. The major poker tours stop there as well, giving visitors a lot of variety to go along with the beautiful weather, terrific seafood, gambling venues, professional sports, and lovely beaches. And if you feel that you're shortchanging the spouse and kids with your great poker games, you can even take a day or two off from poker and drive the family to nearby Orlando and Disney World. New Orleans has always been a huge tourist destination with Mardi Gras, Cajun cuisine, the Gulf Coast, and jazz. In addition, in New Orleans and within a 90-minute drive, there are eight poker rooms. In New Orleans there's Boomtown for low limit hold'em, and (most significantly) there's the bustling 20-table Harrah's that has most of the big hold'em and pot-limit Omaha action in the area. An hour-and-a-half west is Baton Rouge, Louisiana's capital, home to the beautiful L'Auberge Casino. 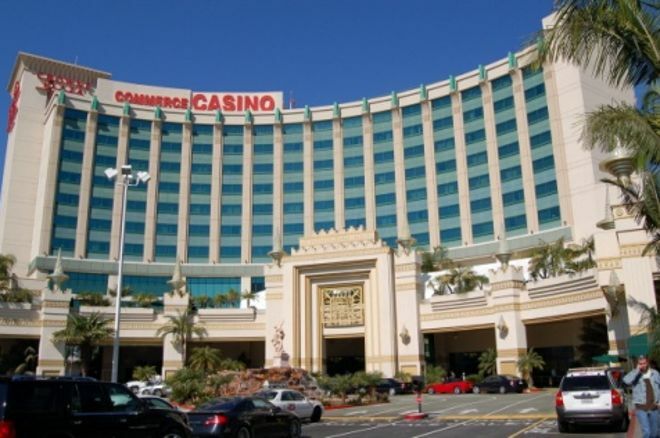 Around 75-90 minutes to the east, just over the border in Bay St. Louis and Biloxi, Mississippi, there are five more casinos, the largest being the Beau Rivage, with the IP Casino, Scarlet Pearl, Golden Nugget, and Hollywood Casino rounding out the list. With all of those rooms there are plenty of limit and no-limit cash games and tournaments to appeal to the poker tourist, not to mention all of the other great things to do in the area. The Greater San Francisco metropolitan area, extending southward to San Jose and up to the Santa Rosa and Napa Valley to the northeast — doesn't have nearly as many poker tables or poker rooms as in the southern part of the state. But it's a magnificent collection of rooms nevertheless, as Lucky Chances, Bay 101, The Oaks, Artichoke Joes, The Palace, Graton, Livermore, Napa Valley, Parkwest, Pete's 881, San Pablo, M8trix, and the California Grand each have something going for them. They are also surrounded by a first class tourist destinations too numerous to mention. You don't have the huge action nor as many large tournaments as you do in Los Angeles, but hey, you've got the Golden Gate Bridge, The Muir Woods, the San Francisco Giants, the Golden State Warriors, and perhaps the greatest Chinatown in the world outside of China. For a long time, Baltimore and the District of Columbia were legal poker deserts. Aside from the "charity" poker games in Prince Georges County, Maryland (that were eventually closed for being corrupt), there was no legal poker within 200 miles of the Capitol District, meaning the nearest action was in Atlantic City — a three-hour drive away. But five years ago there began a torrent of legal poker that now has three rockin' poker rooms: Maryland Live! and the Horseshoe in Baltimore, plus the MGM located right outside of DC. Those three rooms have over 100 tables among them. When you add in all of the other obvious tourist attractions of the nation's capitol and the great inner harbor city of Baltimore, the area becomes yet another great poker destination in the United States. There are many other places in the United States that have poker, though the locations listed above comprise my top eight. casinos live poker Commerce Casino Borgata Parx Foxwoods Mohegan Sun Harrah’s Bay 101 Maryland Live!